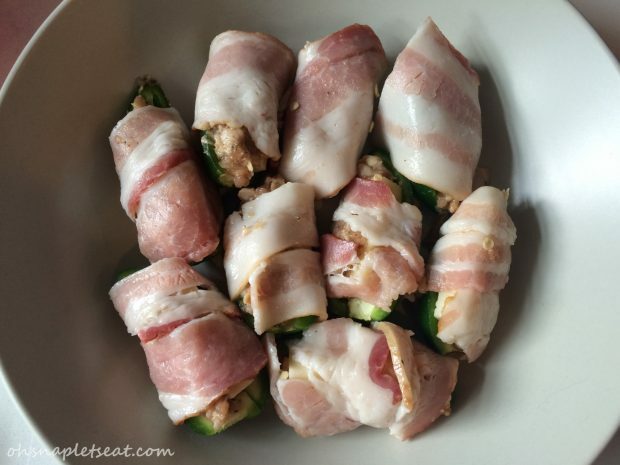 Bacon Wrapped Jalapeño Poppers (Paleo, Gluten Free) - Oh Snap! 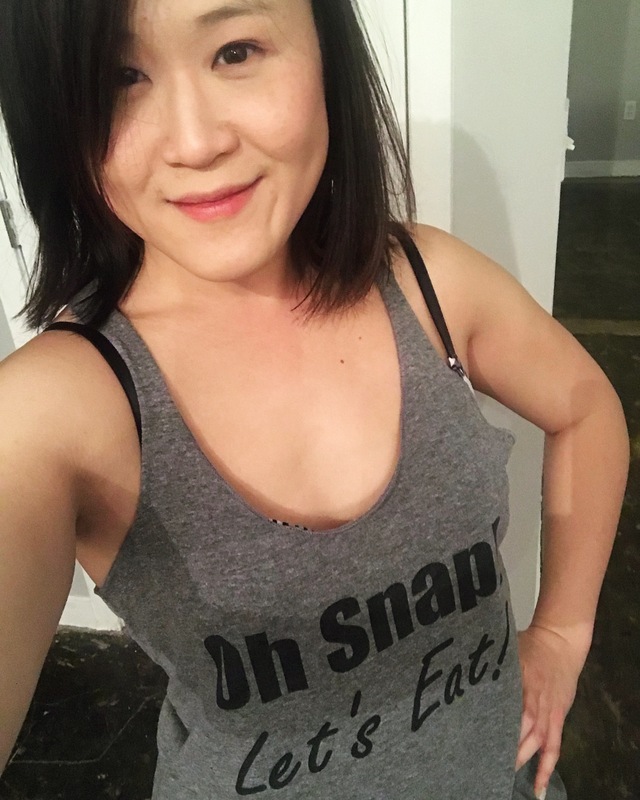 Let's Eat! 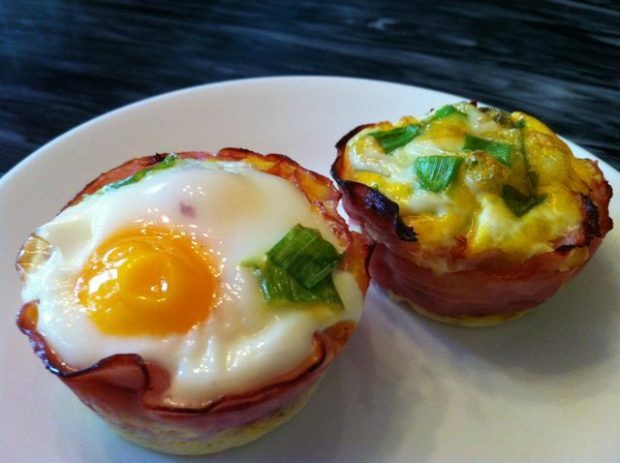 Holy YUM – these are so delicious, super easy to make, and awesome for sharing….or NOT! 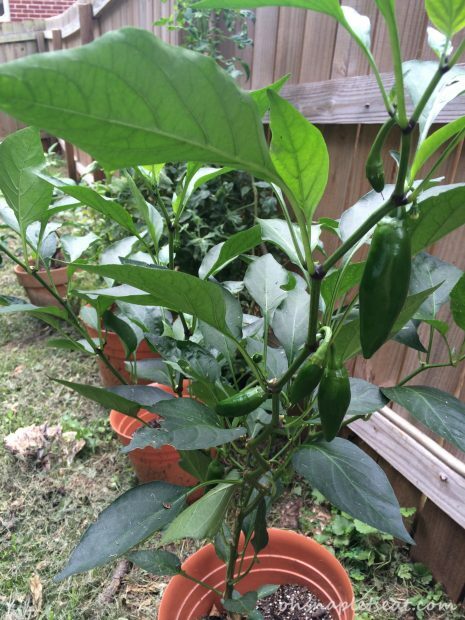 It definitely was even more exciting for me that I was using FRESH JALAPENOS from the garden! Nothing beats fresh produce from the garden! 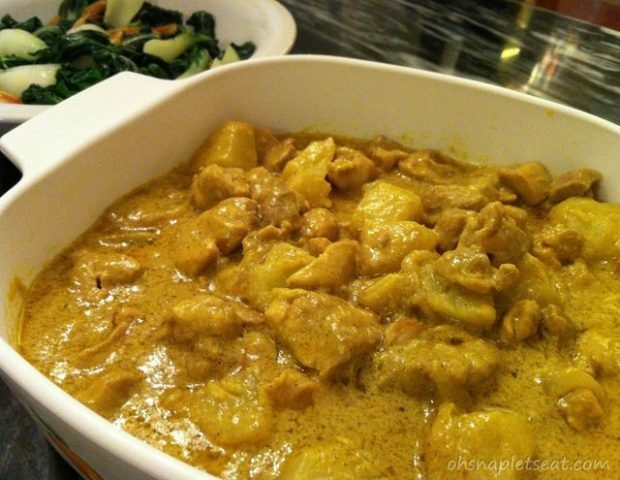 Ok, I’m going to calm my face down and stop showing you pix about the main ingredient now. 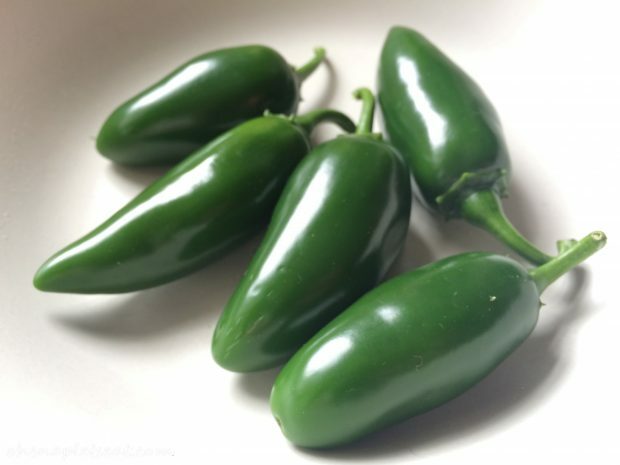 So… this time we only made this from 5 jalapenos, but you can really make as many as you want as long as you do some math and up the quantities of the other ingredients as needed! 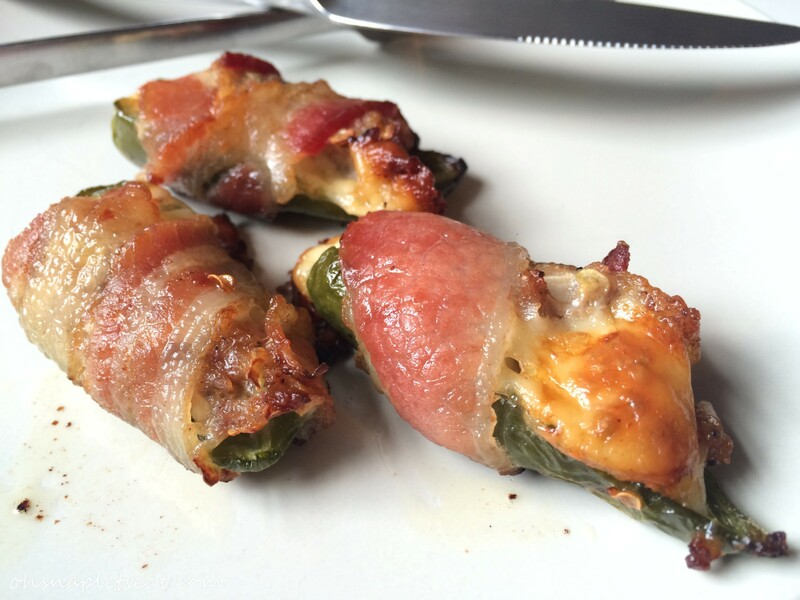 The thing to remember is one jalapeno makes 2 poppers. 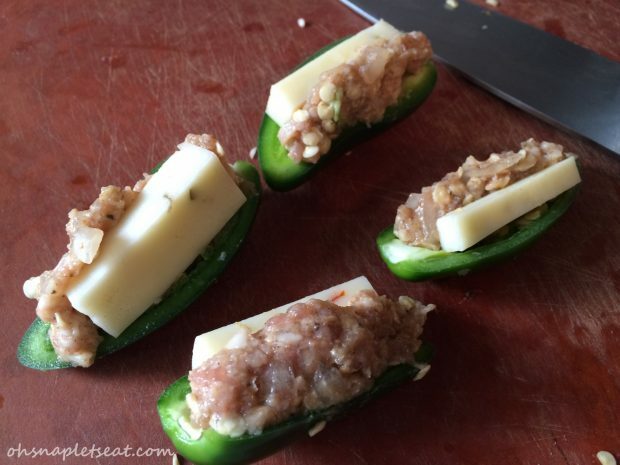 Remove the stems of the jalapeños and slice them in half lengthwise. 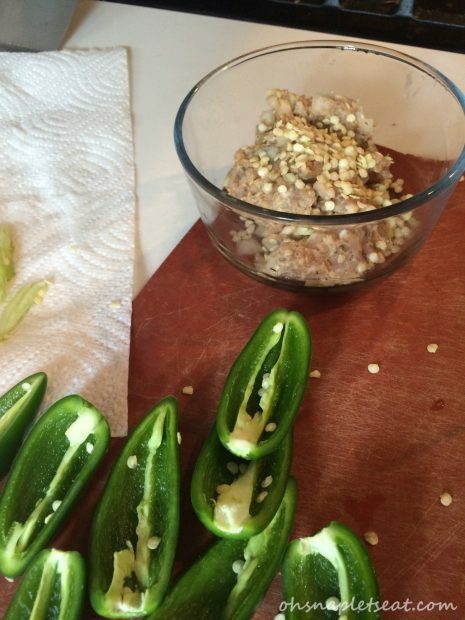 Remove all seeds and dump it in a bowl if you like your jalapeño poppers with an extra kick. If not, just discard the seeds. Also, scrape off the ribs inside the jalapeño. In a bowl, mix the sausage and chopped onion. If you wanted to add your seeds, mix them in as well! Now, stuff the peppers with the sausage mix and the cheese side by side. Slice the bacon vertically and then horizontally so you end up with 4 pieces. 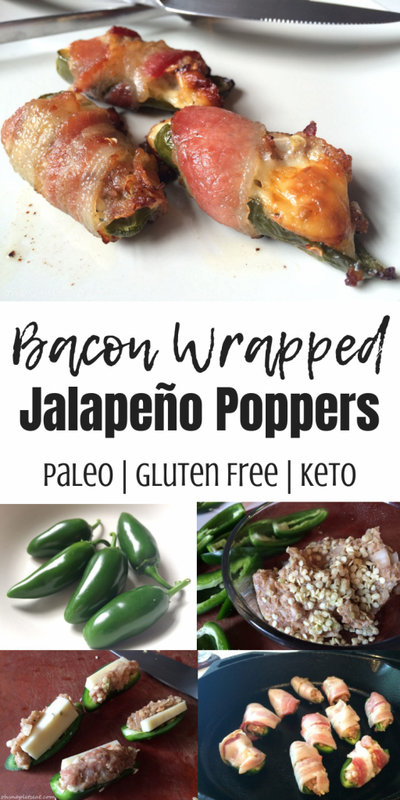 Wrap the peppers with the bacon. Place on a cast iron skillet or baking pan, and pop in the oven for 30 minutes or until bacon and sausage is cooked thoroughly. That’s it! Wasn’t that easy, and wasn’t it delicious!? 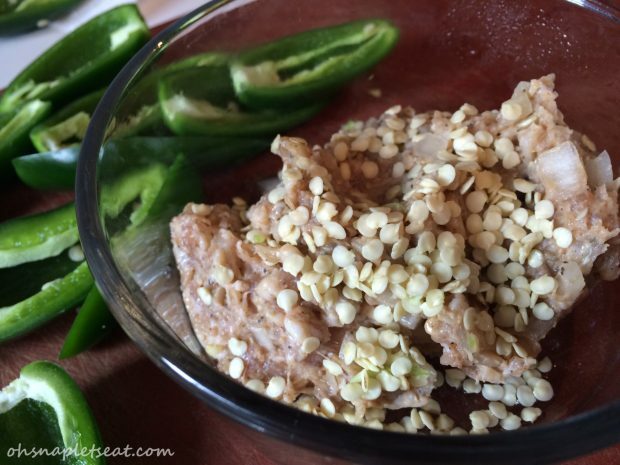 Looking for more delicious appetizers and finger foods? Check our more here! 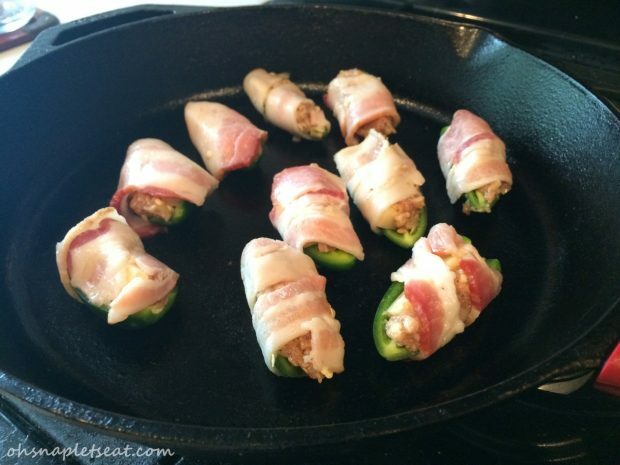 Slice those jalapeños in half lengthwise. 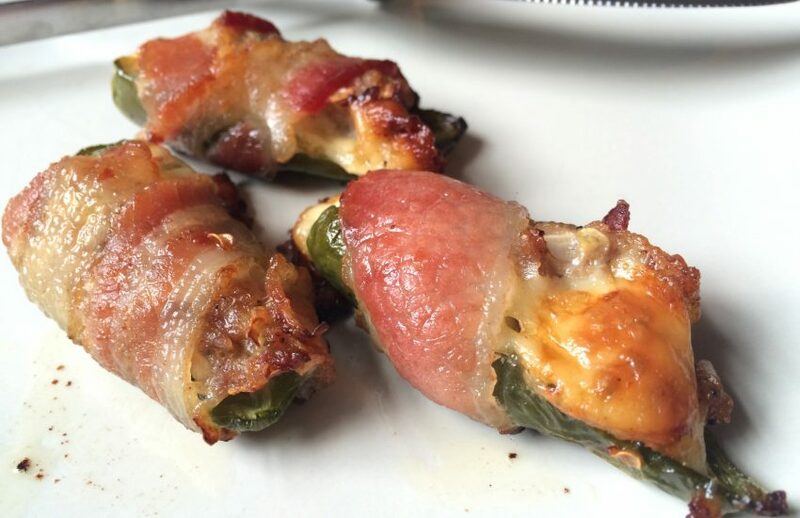 Remove all seeds and dump it in a bowl if you like your jalapeño poppers with an extra kick. If not, just discard the seeds. Also, scrape off the ribs inside the jalapeño. 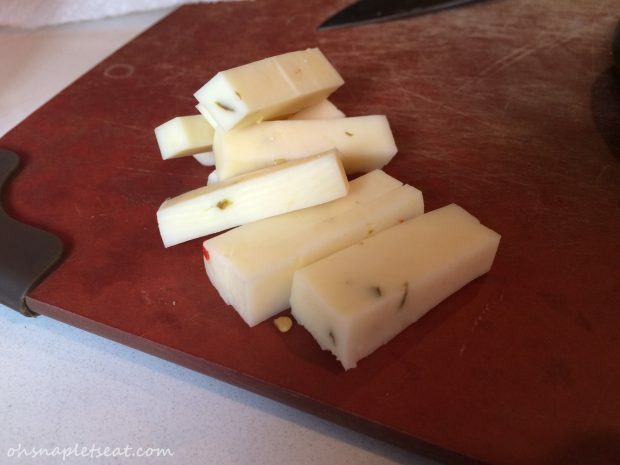 If you want to use cheese, slice your cheese to small 1 inch sized. In a bowl, mix the sausage and chopped onion. If you wanted to add your seeds, mix them in too!